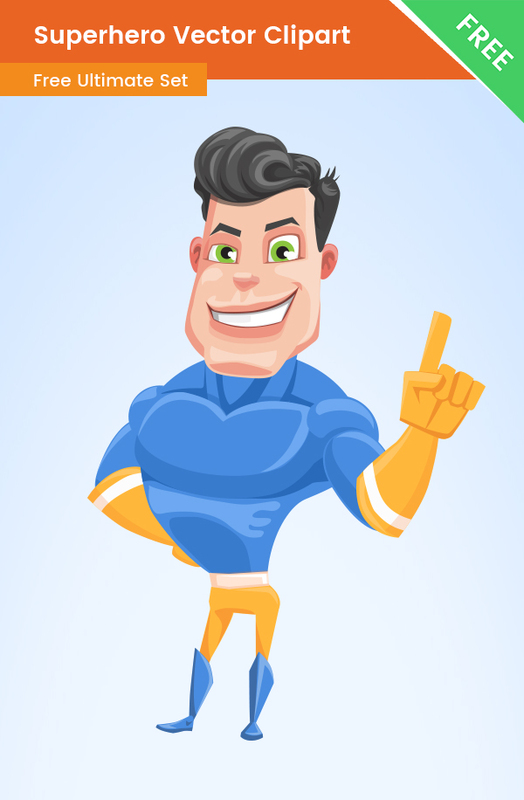 A Superhero vector clipart that will definitely grab the attention of your audience. This hero is made of vector shapes for your convenience. We’ve made our superhero illustration to be compatible with modern designs – we’ve used modern shapes and colors, so you can just import the character in your design and it will fit perfectly. In the download .zip archive you will find AI, PDF, and PNG files.